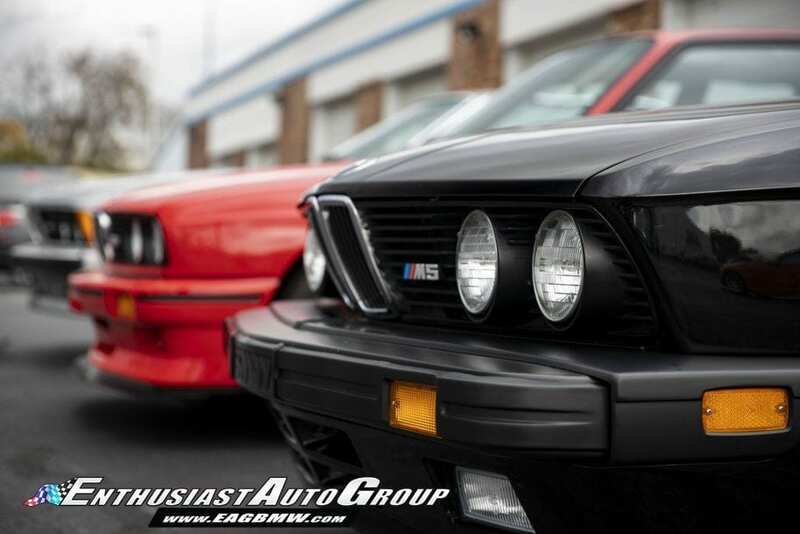 Last weekend I had the pleasure of spending the morning with Eric Keller of Enthusiast Auto Group (EAG). 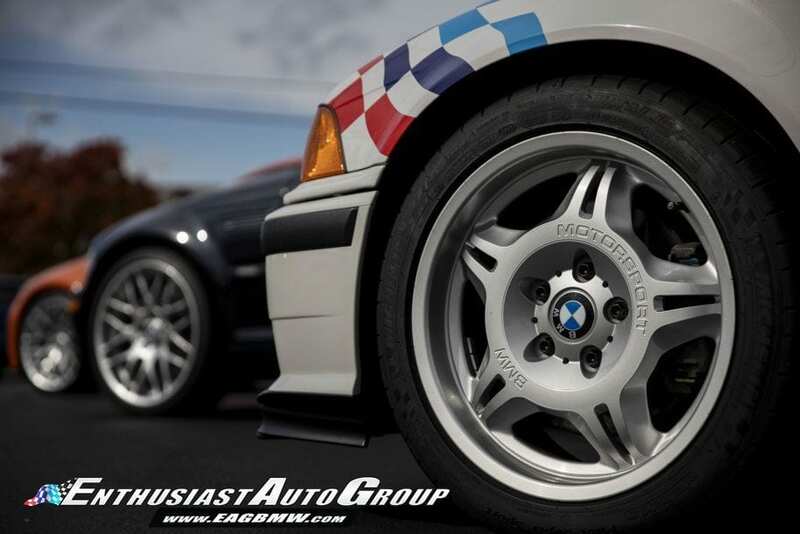 EAG is America’s leading purveyor of the finest BMW automobiles (with a heavy emphasis on high-performance M cars). I have grown to know Eric over the years and he is an exceptionally knowledgeable and trustworthy specialty car dealer—he is also great fun to be around. I have done business with the EAG team and can personally attest to their integrity and passion for quality. EAG sets very high standards for their products and services. Click here to read our comprehensive interview with EAG that was posted on Turtle Garage back in 2016. Our morning started with a tour of EAG’s private collection which includes a world-class assortment of the best cars BMW has ever built. 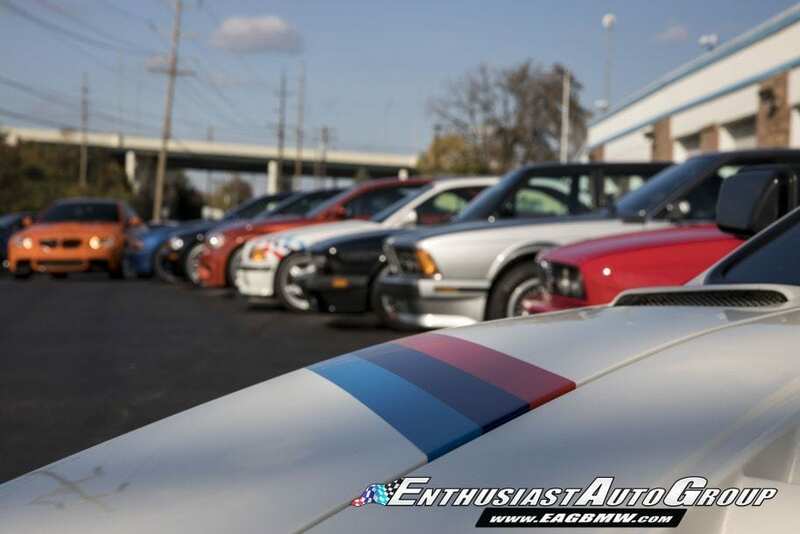 We then fired up an E30 M3 Sport Evolution and a legendary M1 supercar and blasted through the rainbow foliage of the tony Cincinnati suburb of Indian Hill. Along the route, we stopped off and visited two mind-blowing garages that belong to local friends of Eric. 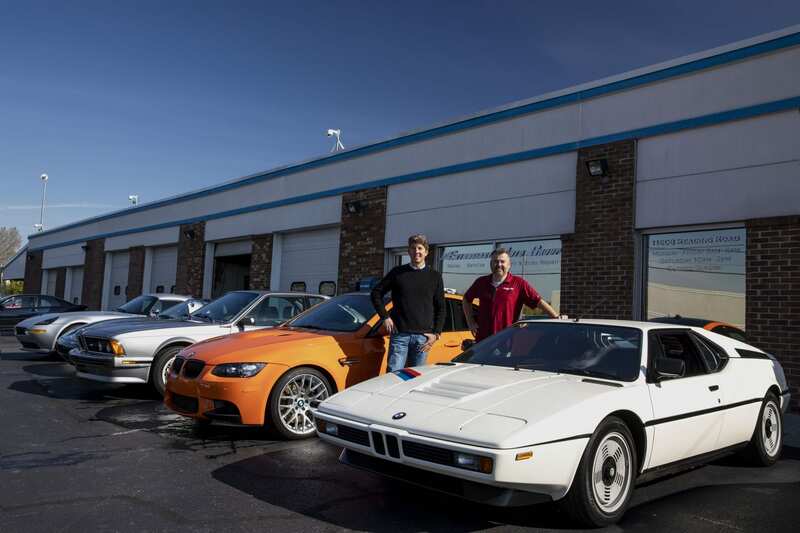 To my surprise, the Cincinnati area is home to a clan of devoted BMW M car collectors. Separate of his impressive collection, the size, rarity, and quality of these BMW-only warehouses rival anything I’ve ever seen. We then headed over to the EAG showroom and rejuvenation center in Cincinnati. This drive gave me forty-five minutes of priceless seat time behind the wheel of the legendary BMW M1—there will undoubtedly be a comprehensive TG post about this M1 experience soon! Driving the M1 north on Ohio’s route 71, I felt the raw modernity of this 36-year-old rare classic BMW. 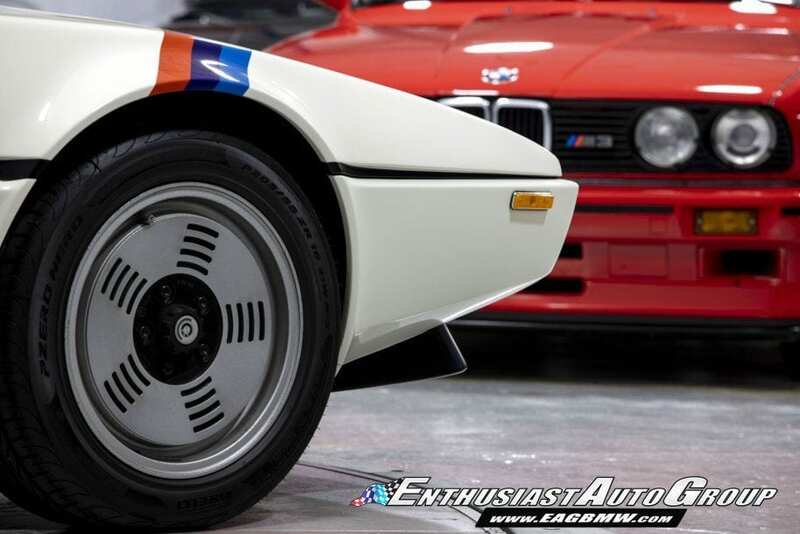 The M1 is a paradox—it is like driving a futuristic analog car. Every car enthusiast should see the EAG facility in person. Eric’s compound is something to behold. EAG’s headquarters comprises of several large well-maintained buildings. There is the showroom and service area complete with six vehicle bays. 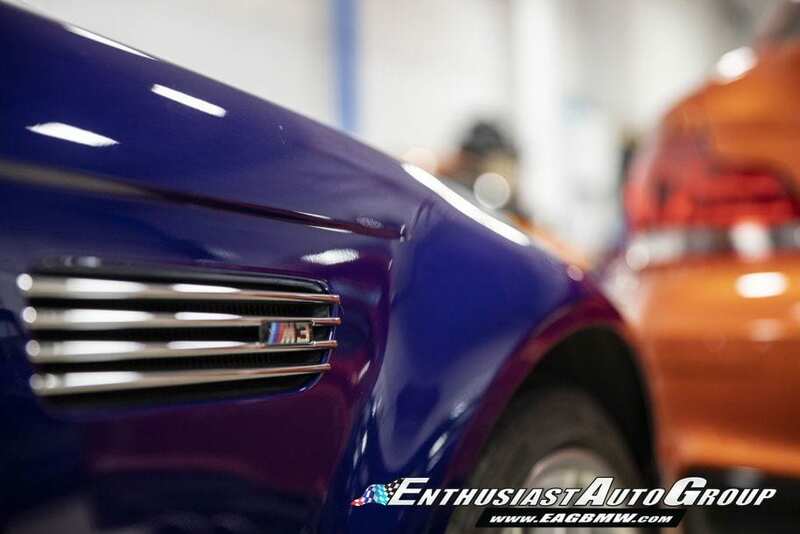 EAG is fully equipped with a stand-alone modern body shop complete with a state-of-the-art paint booth. 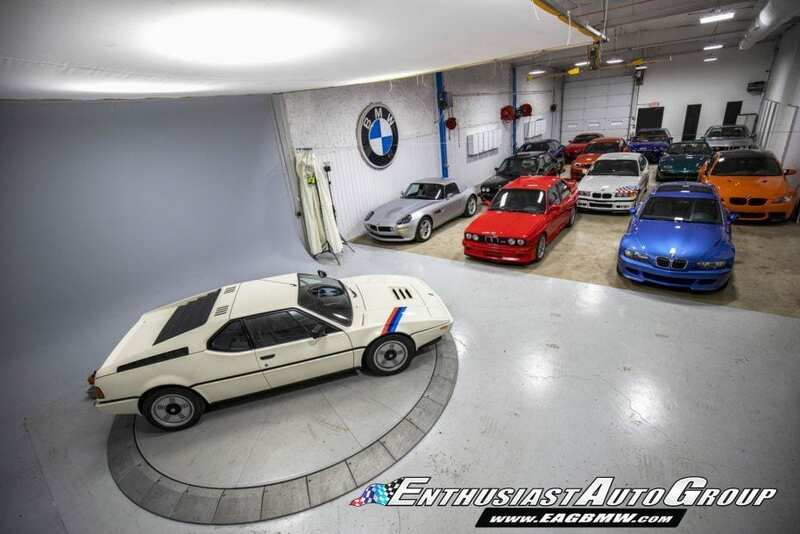 They even have a dedicated building with a turntable and white background that is used only for professionally photographing the cars listed on EAG’s website. 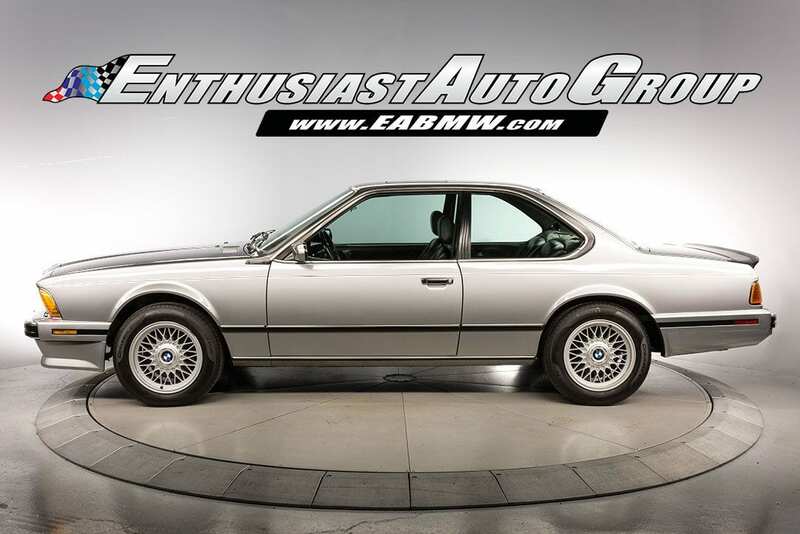 Finally, a hangar-sized warehouse stores dozens of rare BMW’s that are preparing to go to market. EAG’s advantage is their deep expertise and knowledge combined with a network that sources the best possible inventory. 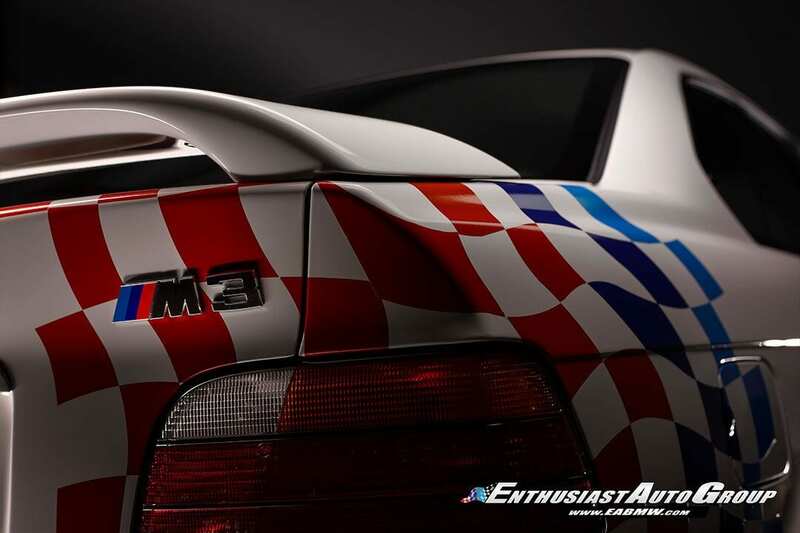 Of course, raw passion is at the heart of EAG’s competitive advantage—every employee at EAG lives and breathes BMW M cars. The team at EAG has decades of experience and the in-house tools required to sort out and recondition these rare and complex cars. Eric and his team are meticulous and detail oriented, and they demand the best. For a vehicle to pass EAG’s rigorous process, it must begin as a great example and then it must be taken to the highest level by EAG’s technicians. I have never seen more 1988 BMW E28 M5’s in one place—each in near-new condition or on its way to becoming a concours level example. 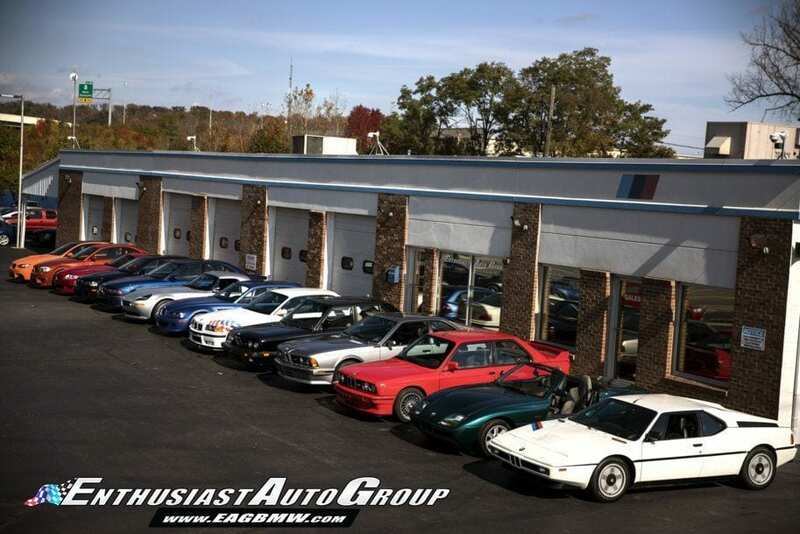 Parked at the EAG warehouse were three ultra-rare orange Lime Rock M3’s and two pristine never-imported-to-the-USA Z1’s. A Z8 Alpina was casually sitting on a lift getting a minor service. 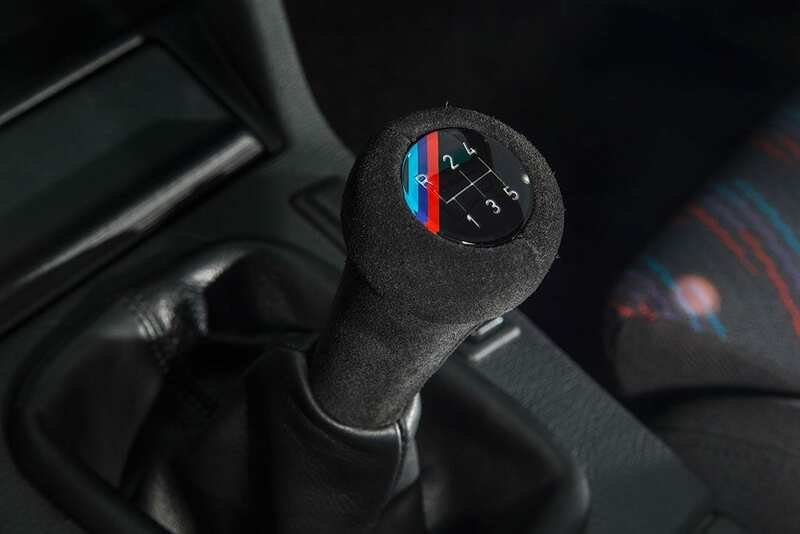 My timing for a visit to EAG was perfect as it coincided with the professional photographing of the ultimate EAG BMW offering—a grand slam of thirteen of the most important BMW M cars of all time. For a cool $2.3 million, EAG is selling an entire group of expertly-curated cars as a turn-key package. 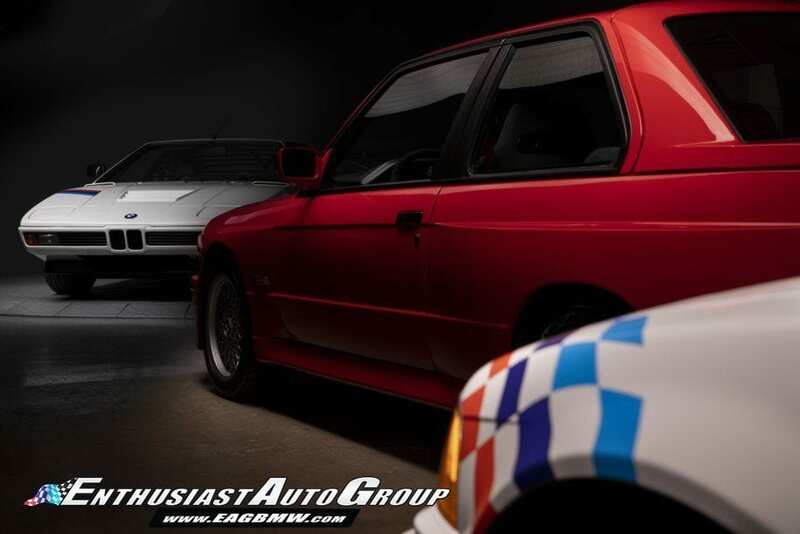 These cars are fully sorted to EAG’s standards and represent the best examples of each model. 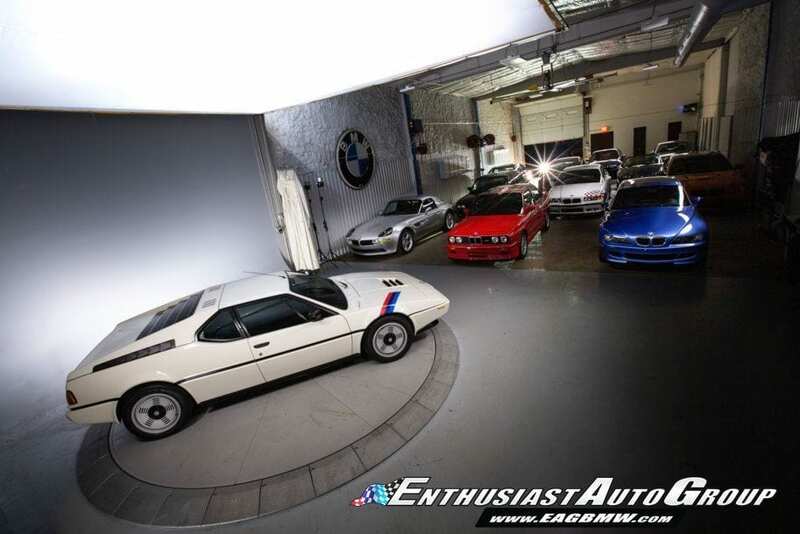 This is the first time anyone has ever assembled such a robust package of curated BMW M cars for sale. I was fortunate enough to enjoy 2 M1s owned by generous friends. The first was stored in my garage and I was granted use of it in exchange. Head room was short and it had less power than one would expect but it handled beautifully and had all the amenities of a luxury street car of that era. The other I got to drive on the old Bridgehampton circuit, What a joy! Absolutely on rails. Handling so good and predictable you forgot about the lack of power. It was so much fun my friend, the owner, had to finally step out onto the track to get me to stop. We were able to run it all day with the ac keeping us cool in humid 90 degree weather. 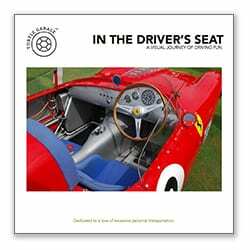 very impressive for a high performance car of that era.